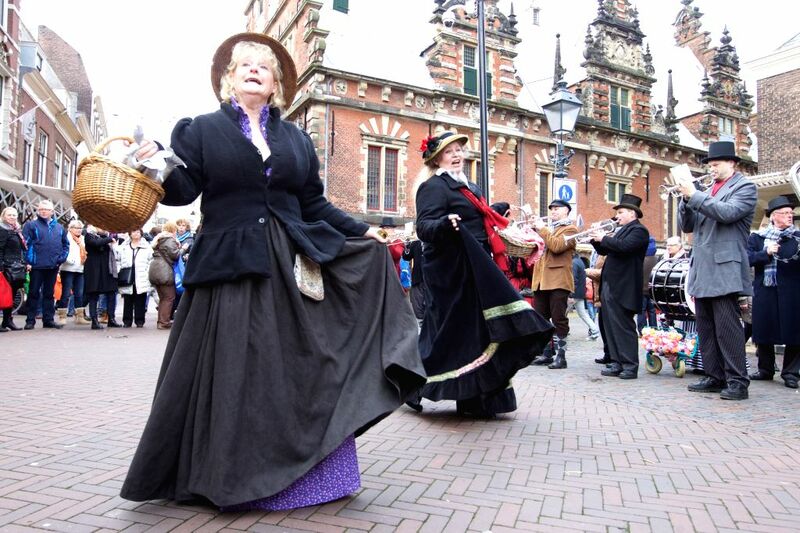 HAARLEM, Dec. 13, 2014 - People dressed in old style costumes perform at the traditional Christmas Market in Haarlem, Dec. 13, 2014. Haarlem, a city in the west of the Netherlands, went back into the 1900s this weekend while holding a lot of festive activities. 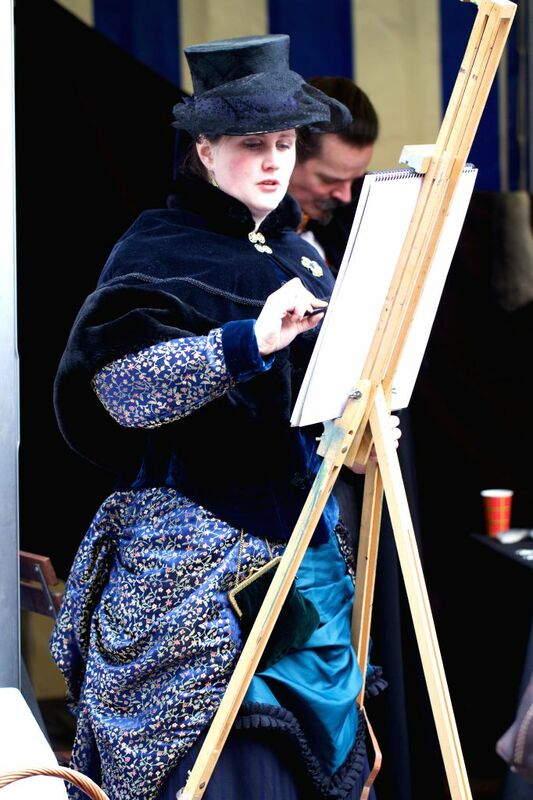 A painter dressed in old style costumes is seen at the traditional Christmas Market in Haarlem, Dec. 13, 2014.